The reason why our training is so effective, is because we guide your sales team to understand all the benefits, which accrue to them as a result of engaging with all the sales training processes. This helps inspire them to want to actively engage with the sales training processes, organise the required knowledge and then effectively apply the new sales knowledge and skills in their unique work environment. Secondly they are supported all the way with audio books to help them organize the knowledge, an Online Sales Training Solution, which helps them apply the knowledge, consistent reminders to remind them carry out the desired new behaviours. All of the tools we provide to your sales team, helps them to learn the new sales skills, yet does not stop them from doing what they need to do, namely SELL. One of the greatest challenges, when training any sales team, is to support them to remain Intrinsically motivated or inspired, so that they actively participate in the sales training process and then apply the sales tools and concepts, which they learn, in their workplace. Developing an effective learner platform, which supports sales team members to remain intrinsically motivated has been the focus of my research towards completing my PHD. I have researched and designed a number of very effective training, methodologies and support mechanisms, to support sales professionals to engage with the sales training and ultimately apply all the new sales tools and techniques, which they will learn, in their work environment. The new highly informed and competitive world we live in has resulted in the need for a new way of selling. The sales professional, who wants to excel and become very effective at sales, needs a wide variety of skills and competencies to optimise their performance and sales results. Many different researchers have conducted intensive research all over the world, exploring different sales environments, sales professionals and customer expectations. Based on their findings, in a number of different product and service related industries, they identified a few key areas, where sales professionals needed competencies. These competencies were seen as critical to sales success at all phases of the sales process. Our objective when we train your sales team is to offer them tailor made Sales Training Solutions, which will support them to optimise their ability to effectively engage with all eight competencies. The Sales competence assessment that we have developed explores all of these areas and offers feedback, insights and coaching in the specific areas, where the individual sales professional needs support and sales training. We conduct a pre workshop assessment to ascertain the areas, where we need to offer the most support and training. This helps us to tailor our sales training interventions, to meet your specific needs. It also gives us a mean against which we can measure any progress made as a result of the sales training offered. We conduct a post workshop assessment two months after the last workshop is presented to measure the improvements achieved, as a result of the sales training offered. Our prime objective is to support your sales team to introduce all the new sales skills and techniques into their workday. To this end we have created a number of mechanisms and support systems to help your team remain intrinsically motivated and committed to the entire training process. We will guide, remind, support and help them to stay motivated, throughout the training series. Please see the various support mechanisms listed below. 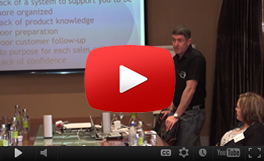 These will help your sales team achieve great results and allow you to get a return on your sales training investment. As the success of our training is dependent on your sales team members, actually applying all the tools we teach, we will provide them with a number of daily and weekly reminders, to help them to carry out and use the sales tools and techniques we teach. Your sales team members will be asked to opt in to receive a daily inspirational message. This message is their daily call to action, a reminder to apply and utilise all the sales tools and techniques, which they will learn, throughout the process. They will be introduced to these tools and techniques during the Face-to Face Sales Training workshops. The training process is reinforced by means of the audio books, which they will listen to in their cars and through the Online Sales Training Solution. We send out a random, reminder emails after each session, to remind your sales team members to apply the specific tools and to help them to integrate the specific sales processes into their sales day. Each team member will receive an audio book containing all the material we covered during each workshop. This CD contains all the important tools and techniques we want your sales team members to master before the next workshop. Your sales team members will be encouraged to use their mobile university (their car), to listen to the audio books. This constant daily reminder is designed to reinforce the concepts we cover during each sales training workshop. The constant reminders will help your team members to internalise the information and to adopt and apply the sales skills, which they need to learn. We encourage the sales management team to run a follow-up session every week, between the sales training workshops, in which the team members watch a video and hold discussions about the training. A reminder email will be sent to you to remind you to watch the video recording and hold the follow-up session between workshops. partnerships. The purpose of these accountability partnerships is to allow fellow participants on the program to support each other. They arrange a day and time of the week when they will call each other, to offer support and to see how the other person is doing. On completing the call they give each other three things they want to be held accountable for during the next week. When they call each other the next week, the first thing they would ask each other is how they did on those three things. This support mechanism, offers our sales professionals an opportunity to support someone else and in return, they receive support themselves. The Accountability partnership concept, does not only provide a wonderful support mechanism for our students, but also helps, them to embrace and utilize the crucial principal of developing mutually beneficial relationships with their prospects and customers. The challenge most sales professionals have and one of the greatest factors limiting their performance is a lack of belief in themselves and the sales abilities. We have designed a CD, which is filled with positive statements, designed to help your sales team members to gradually grow their belief in themselves and their sales abilities. This CD is an audio recording containing positive affirmations. This resource is used daily to create a positive start to your sales team members days and helps them remove those nagging negative thoughts, which flow so freely through their minds every day. When used consistently this CD will give your sales team members a positive start to every day, set the tone for an amazing day and program their minds to start believing in themselves. After the initial 12 weeks is over, we still continue to send reminder emails to your sales team members for a further 12 weeks. These emails are designed to support them and guide them to completely adopt and apply all the sales tools and techniques they have learned during the initial 12 weeks of training. This means that the training is effectively carried out over 6 months. Improve their sales performance and results. I also want you and your organization to be so satisfied with the results you see after the training, that you will refer me to other businesses, whose sales team would also benefit from the comprehensive Sales Training programs we offer. A strong referral strategy is one of the techniques we teach to your sales team during this training series. We enjoy the best results when we can get the support and buy-in from the sales leadership team. We have measured results over the past few years and have noticed that when Sales Management is intimately involved and participates in the sales training process, the team members support the training initiative far more and enjoy far greater results from our sales training. It is for this reason that I recommend that we hold a session with the sales management team, where we will invest a few hours introducing them to the proposed processes to get them to support it and to help with the implementation of the process going forward.